White House Trade Adviser Larry Kudlow tells Fox Business that Trump does expect to meet with Xi at some point in the future, but right now, it's up in the air. 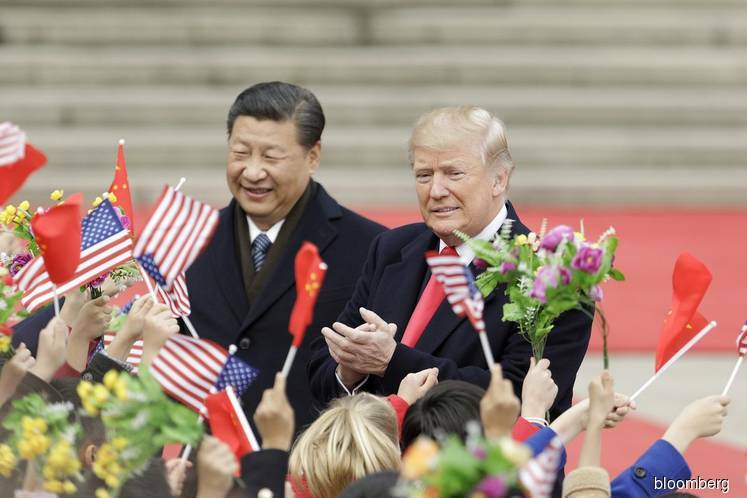 U.S. Trade Representative Robert Lighthizer and Treasury Secretary Steven Mnuchin are leading a group of administration officials headed to Beijing next week as part of the trade talks. The president's comments reinforce those already made by administration officials, who said it was unlikely that the two world leaders would meet within the month. It was initially expected Trump and Xi would meet alongside the president's summit with North Korean leader Kim Jong-un between February 27 and 28 in Da Nang, Vietnam. Trump has repeatedly denigrated past presidents' efforts to deal with China. Let's put it this way: a diplomatic spat between France and Italy is making its way across the major news headlines at the same time as when investors are still no way nearer to understanding what is going to happen with Brexit in the run up to the March 29 Article 50 deadline, so it is quite possible that investors will prefer to have the United States dollars in their portfolio until the necessary guidance is provided for what could happen with either the Euro or the British Pound over the coming weeks. Washington accuses China of stealing USA intellectual property and forcing American companies to share their technology. Four unnamed sources tell CNBC that the tariffs are likely to remain at their 10 percent level.